Mostyn passenger and car ferry ticket prices, timetables, ticket reservations and information for ferries sailing from Mostyn to Dublin. Compare all available Mostyn ferry ticket prices in real time and book the cheapest available Mostyn car and passenger ferry tickets sailing to and from Mostyn, Dublin with P&O North Sea Ferry Line ferries online with instant confirmation. Book Mostyn Ferry Tickets with P&O North Sea Ferry Line for ferries sailing from Mostyn to Dublin online in advance to enjoy the cheapest available ferry ticket price. The price you see is the price you pay. There are no hidden extras or surprises such as added fuel surcharges or booking fees and we do not charge you anything extra for paying with a Visa Electron card. The price we quote you for your selected Mostyn passenger or car ferry ticket, onboard accommodation and vehicle type is all you will pay, and that's a promise. To obtain a Mostyn ferry ticket price and book your ferry ticket securely online please use the real time ferry booking form on the left. You are also able to add a hotel at your destination, or anywhere else, to your ferry ticket when completing your ferry ticket reservation. Mostyn is one of the UK's oldest ferry ports and rich in history. The area draws thousands of tourists who flock to the area for the long natural sand beach. Mostyn docks is the last working survivor from the former string of small ports along the southern shore of the Dee Estuary. It is the newest ferry port in Wales after being the recipient of an investment of £17.5m. After the overhaul P&O decided to switch its Irish Sea crossings from Liverpool to Mostyn. The docks at have been expanded and upgraded to handle a growing shipping business which now includes two daily ferry sailings between North Wales and Dublin. Please Note: The Mostyn ferry route to Dublin was been closed down by the operator P&O Irish Ferries in 2004 and has since been operating from Liverpool to Dublin. Liverpool ferry port is about an hour's drive away from Mostyn and offers better facilities. Mostyn is a village in the county of Flintshire, North Wales, lying on the Dee estuary between Prestatyn to the North West and Holywell to the South East. The village straddles the A548, the Old Coast Road, with the River Dee to the northeast and the Welsh hills to the southwest. The Port of Mostyn once served as a port from which ferries sailed to Dublin on the Liverpool-Dublin route. However this ended in 2004 and the Port has developed other businesses including the construction of, and support services for, the off shore wind farms in the Irish Sea. The historic Mostyn Hall and Gardens are located to the north west of the village. The Hall is a Grade I listed building and the estate has been in the hands of the Mostyn family for several centuries, being the seat of the baronets and barons of Mostyn. Just down the A548 road from Mostyn at Llanerch-y-Mor is the rusting hulk of the 'Mostyn Fun Ship'. The ship started life as the Duke of Lancaster, a car ferry and cruise ship, until it was permanently dry-docked in Mostyn. An interesting footnote to history concerns the Mostyn family, of Mostyn Hall, and King Henry Tudor's capture of the throne of England. The Mostyn family descended from the marriage of Ieuan Fychan (d. 1457 ), of Pengwern , Llangollen, with Angharad, daughter and heiress of Hywel (or Howel), son of Tudor ap Ithel Fychan. Their descendent Richard ap Hywel (Howel) supported the house of Lancaster in its fight for the throne of England. On one occasion Henry Tudor was known to be visiting Richard ap Howel at Mostyn and Richard III's men came to look for him. As they forced their way in through the front he went out through the back. The future King was believed to have sailed from Mostyn Dock to Brittany among a load of straw. Richard ap Howel, or Richard Mostyn, was to meet up with Henry Tudor again later – at Bosworth Battlefield. The Mostyn levy of 1,600 Flintshire men was no small contribution to the victory and the King gave Richard the sword and belt he had worn that day. Best Price Guarantee - We always offer you our lowest available P&O North Sea Ferry Line passenger and car ferries ticket price to and from Mostyn. There are no hidden extras or surprises such as added fuel surcharges or booking fees and we also we do not charge you anything extra for paying with a Visa Electron card. The price we quote for your selected Mostyn ferry ticket, onboard accommodation and vehicle type is all you will pay, and that's a promise! 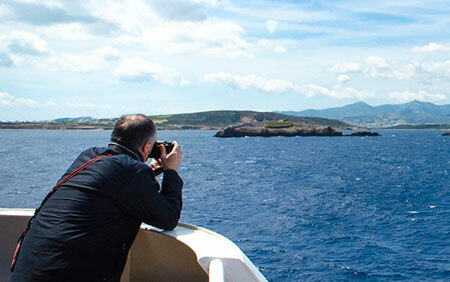 In the unlikely event you find the same all inclusive Mostyn ferry ticket cheaper in the brochure of any other tour operator we promise that we will do our best to beat that price or offer you the choice of requesting a refund. To book Mostyn car and passenger ferry tickets please click here. At ferryto.com you are able to obtain live Mostyn ferry ticket prices, check availability and book car and passenger ferry tickets to and from Mostyn at our lowest available ticket price. Ferryto.com is part of the world's largest online ferry ticket distribution network providing the ability to book over 80 major European ferry operators including to Mostyn and to over 1,200 other ferry routes throughout the UK, France, Spain, Ireland, Holland, Eastern Europe, the Mediterranean, the Baltic and North Africa.